Everything from your pool lighting to your data connections and home cinema. Data and electrical for businesses of all types including offices, shops, schools, local government and more. Specialist in control wiring and breakdowns for factories, manufacturing, and logistics environments. Navigating the web to find a local electrician in Camden can be difficult when there are national companies posing as a local outfit. 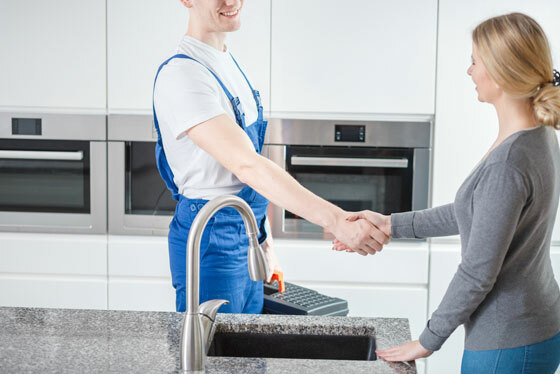 At SKR Electrical we are a truly local business to the Macarthur area with a customer focus in the Camden, Elderslie, Narellan, Smeaton Grange, Oran Park Town and Gregory Hills areas. This translates to a more direct, friendly and professional experience with your local electrician. 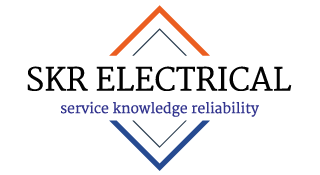 SKR Electrical is a highly trusted and capable electrical company. 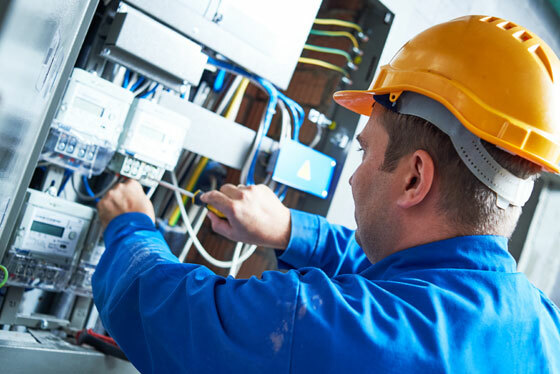 The SKR team is well equipped to handle all of your residential, commercial and industrial electrical needs. SKR is highly regarded by the local community as a leading provider of electrical services. We guarantee a positive customer service experience and rely on your positive referrals within the local community. 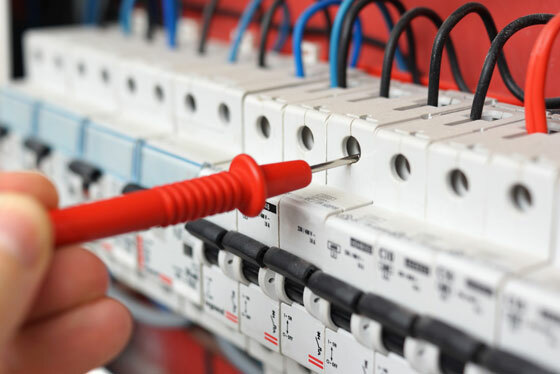 We provide prompt and hassle-free electrical services to home owners in Macarthur and surrounding suburbs. We offer a free quote and fixed upfront price for all work carried out. All work is guaranteed to meet Australian Standards. No job too big or small. All new home electrical, home electrical repairs, upgrades and installations. Imagine doing business without electricity, life would be tough! We’ll look after everything from your backlit signage to your internal electrical systems for power, phone and data. We can help with the best advice on appliances and configurations, to improve energy efficiency which in turn gives you a cost saving. All commercial electrical for complete fitouts, upgrades and repairs. When it comes to water every drop counts making a water tank a must. With ever decreasing block sizes an underground water tank makes sense. Sydney Water Tanks are a leading manufacturer and supplier of underground water tanks and SKR Electrical are proud to be their trusted service provider. Whether you require a new pump or repairs to your control system we have it covered. If you have an above ground tank that’s okay, we service all water tanks. Greenplate BBQ’s are the preferred choice when it comes to the electric BBQ. The quality and safety of their products are superior and now with PID control are more efficient than ever. SKR Electrical has installed and serviced many Greenplate BBQ’s in the Sydney area. SKR Electrical is proud to be the trusted service provider for Greenplate BBQ’s, we carry all necessary parts to ensure any problems are resolved with one visit. Underfloor heating is an efficient way to heat your room or your whole home. It can be fitted under tiles, carpet or timber flooring. Whether you are building a new home or renovating underfloor heating is for you. If it’s a bathroom renovation Hotwire also provide an extensive range of quality towel rails. SKR Electrical is proud to be a preferred installer of Hotwire heating and with upfront pricing you know where you stand.